Huawei Honor 4C CHM-U01 Firmware for Russia country is available to download. if you were already looking to download firmware for your Huawei Honor 4C model CHM-U01, then your at right place. 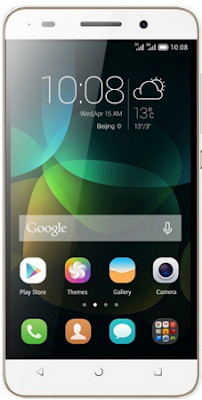 On this page I have shared firmware v5.1 lollipop download link for Huawei Honor 4C CHM-U01. File name of this firmware is CHM-U01_C10B310_Firmware_Russian Federation_Channel-Others_Android 5.1_EMUI 3.1_05012WJK.zip . Below are the complete details about firmware v5.1 lollipop for Huawei Honor 4c CHM-U01. Note: Please double check firmware details before downloading. This firmware can be installed on the CHM-U01 model with C10 market number. It might cause a brick on phones from other markets. > Connect your Honor 4C to your computer in MTP or mass storage mode. > Download the firmware zip package from the above-mentioned link and extract it. It will give you folder named ‘dload’. > Copy this ‘dload’ folder to the main folder of your phone’s external microSD card. > After that unplug the USB cable and open the Updater app. > Open Local update from the menu and select the update.app package you want to flash. > Allow the device to reboot to start the installation.